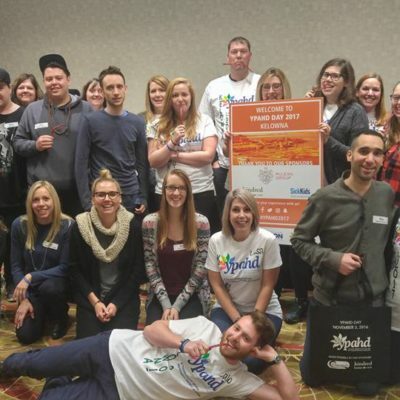 I recently had the pleasure of attending my first ever Young People Affected by Huntington disease (YPAHD) Day in Kelowna, BC. It was a beautiful, chilly morning that started off with easy mingling over coffee and tea. 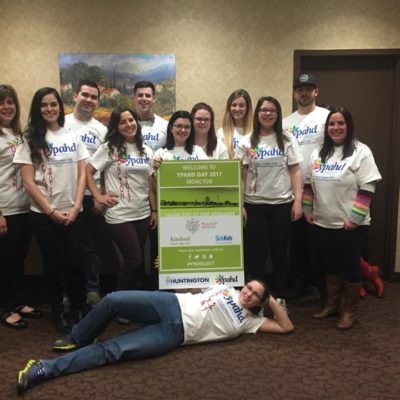 I was immediately impressed by the organization and positive energy felt in the room. This was a place that everyone felt like they belonged – a place where you could feel normal. In some families, like my own, the Huntington disease (HD) conversation is not an easy one to have. It’s also something that some families tend to keep as a secret. YPAHD Day “normalized” HD. People could mingle, share and ask questions with others. Connections and friends were made that day. It was also exciting to know that this same conference was held in two other cities at the same time across Canada. 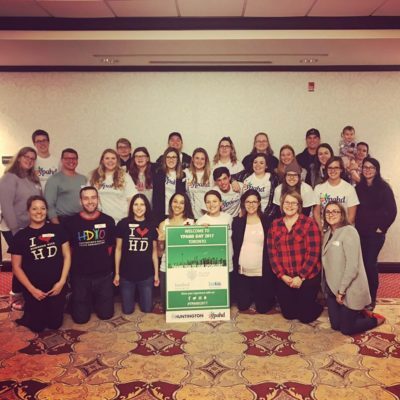 After speaking to others, I was impressed by how the Huntington Society of Canada (HSC) helped support the youth wanting to attend through funding for plane tickets, hotel rooms and transportation so that everyone could attend, even if you were two provinces away! I wasn’t sure how the mood would feel that day. Would it be a depressing day to speak about this disease that has affected my family for generations? Would it be hard to speak about our feelings or to hear other people share their stories? Would it bring up deep routed emotions? To me, I felt like it was the total opposite! You could relate with other attendees and speak freely and comfortably to others. I personally never felt uncomfortable and I appreciated how the organizers and the social workers that attended made everyone comfortable and helped everyone understand that you did not have to say or share anything if you didn’t want to. The room felt safe and relaxed. I learned a great deal from the speakers and presentations as well as just through casual conversations with my peers. We had the pleasure of listening to Dr. Lynn Raymond speak about the progression of the potential treatments and new research with HD. We spoke in details about treatments and trails. She spoke about UBC Brain Center and how they are there to support, educate and help us. That day, there were many great presentations. We heard about fundraising and awareness efforts such as Light it up for HD and May awareness month. We learned about the many programs available to young people affected by HD and heard a very informative presentation on healthy eating for HD. There were even several opportunities to have casual conversations during the day with others. I couldn’t help but feel so grateful for this program that was designed to support the youth that are affected by this disease. This didn’t exist when I was in my early twenties and had just found out about HD and how my family and I are all at-risk. I am so happy that HSC is here to help HD families and especially happy for their support with the youth. There is an incredible support circle. We are not alone. There is someone there to help, however it may be needed. I left the room feeling hope for treatment. I left with new energy to help fundraise to support family services programs and research. I would like to thank all the organizers, sponsors and everyone else who made this memorable event a reality. I will be back next time and will be bringing my siblings with me!